330 000 student”s already received information about the importance of responsible drinking. Pernod Ricard is pursuing its commitment to promoting responsible alcohol consumption among students. In the framework of the 30th anniversary of the European exchange program, the Group will renew its partnership with the Erasmus Student Network (ESN) on Tuesday 24th January for the seventh consecutive year by supporting the Responsible Party program. Since 2010, the program has organized close to 500 “responsible parties” in 32 countries across Europe and raised awareness about the need for convivial and responsible consumption of alcoholic drinks amongst 330 000 students. 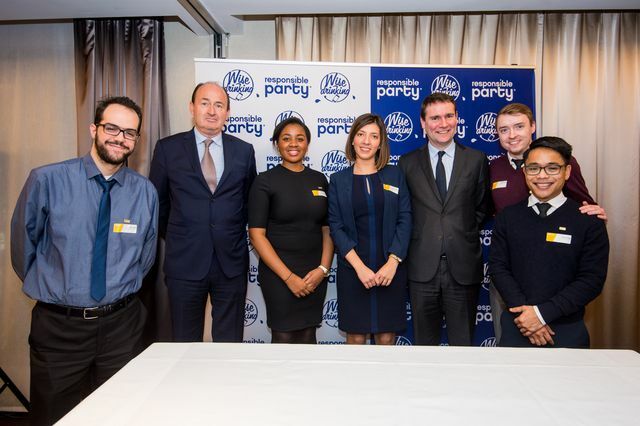 Alexandre Ricard, Chairman and CEO of Pernod Ricard, and Christian Porta, Chairman and CEO of Pernod Ricard EMEA/LATAM (Europe, Middle East, Africa/Latin America), will travel to Brussels on Tuesday 24 January to once again show their support for the program and meet with the students. As part of this visit to Brussels, Alexandre Ricard will also take part in a conference/debate open to the public on the topic titled “European students: towards more responsibility?”, together with representatives from both the European Commission and ESN, represented by its President Safi Sabuni. Responsible Party is aligned with the Group’s other numerous initiatives led in Europe and globally to promote responsible drinking to students or pupils through partnerships. In Slovakia was successfully launched project Let”s talk about alcohol in cooperation with the Association Forum Pi s Rozumom Slovakia, which brings together the largest distributors and manufacturers of alcoholic beverages. As part of its activities involved in discussions of school, parents and children and teens and raise awareness about the risks of excessive alcohol consumption among students. The program has been interviewed more than 8,000 young people. In Spain, the Adolescence and Alcohol initiative has the same objective and has reached out to more than 300 000 students since 2011. In Asia as well, a program similar to the Responsible Party in Japan called “No Ikki!” (No binge-drinking!) discourages students from partaking in excessive alcohol consumption with more than 220 000 of them reached out to since 2011. The latest results of an independent scientific study carried out for the last two years by researchers from the Foundation for Research in Alcohology (FRA) seemed to show the effectiveness of the program: 85% of student respondents view the program positively and 92% of them find the tips they are given very useful. When viewed on a larger scale on the findings of the HBSC study * conducted by the World Health Organisation, it shows a significant positive trend in reducing alcohol consumption by juveniles in most countries. Regarding specifically Slovakia, excessive consumption of alcohol by minors since 2005 fell by more than 50%, taking it to a European average. Since 2010, Pernod Ricard and the pan-European association ESN which supports students on university exchanges across more than 39 European countries, have together been organising Responsible Parties during which “ambassador” students raise awareness amongst their peers of the importance of drinking responsibly. Awareness has been raised among 330,000 students since the programme was launched. The ambassadors deliver positive messages about drinking alcohol responsibly and hand out information during student parties.